Remote desktop access company Parallels has stretched its services to cover Android devices and Apple’s iPhone, giving smartphone owners the chance to log in to their home PC or Mac on the move. 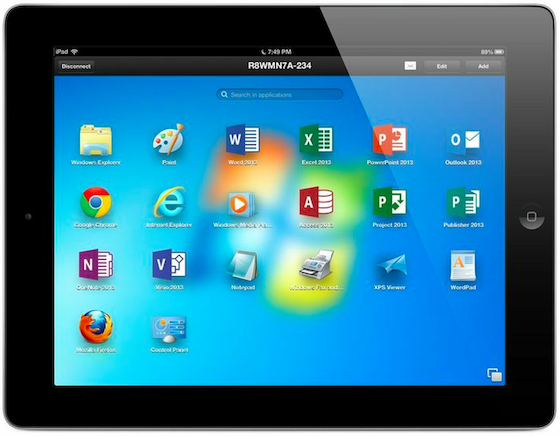 The Access app uses an Internet connection to let you get at your home computer’s software on a mobile device, letting you do things like — for instance — edit a Microsoft Excel spreadsheet from your Android tablet. To use the new version, which is now live on iTunes and Google Play, you’ll need an iPhone 4S or a more recent iPhone, and you must be running iOS 7. As for Android, Parallels claims that “most tablets and phones running Android 4.0 and later” will be supported. Your computer will also need to be either running Windows 7 or a more recent version of Windows, or Mac OS X Lion (10.7) or a more recent version of Mac OS X.